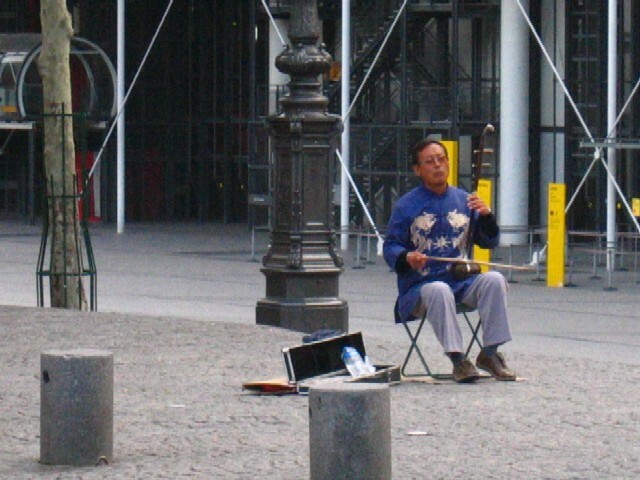 There are many musicians out in Paris. It’s like having a soundtrack follow me on my way to school and on the way back…. 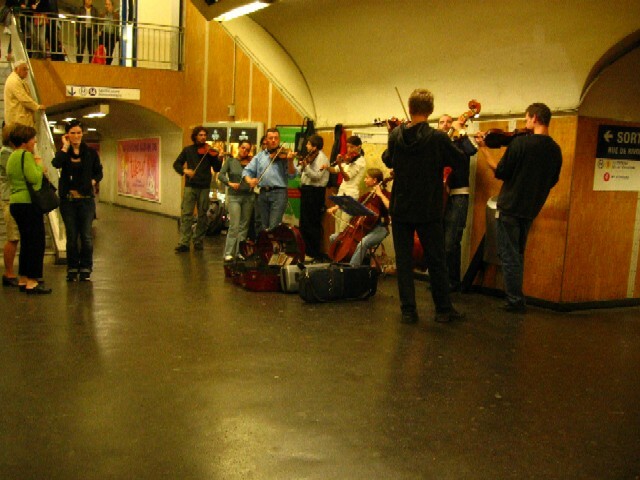 At the Chatelet Metro station, I can find a jam session next to the Relay newspaper stand. 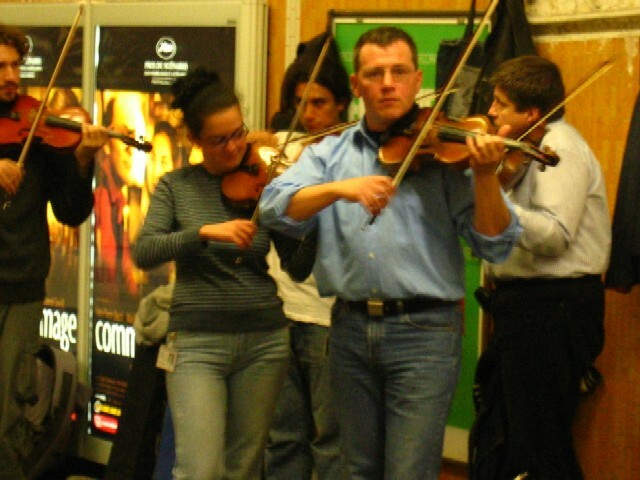 According to one Medill student, these performers need a license to play inside the station. The acoustics are awesome inside the Metro walls. It haunts me as I walk off the train. It’s a plesant surprise to hear the music grow louder as I near the exit. Many times, Metro travelers will pause for a bit to watch. I’m not sure it they’re tourists or not. 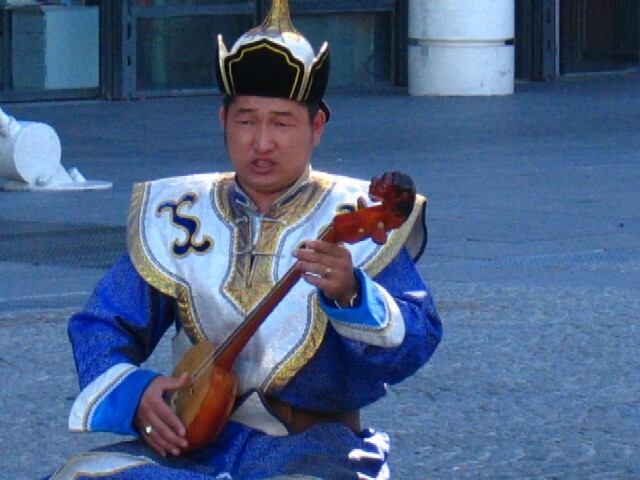 On the way to the metro station, on the weekday mornings – sometimes I see this guy doing Chinese violin music. He’s right in front of the modern museum – just down the street from my studio. He reminds of another guy who used to play on Sproul Plaza at UC Berkeley. 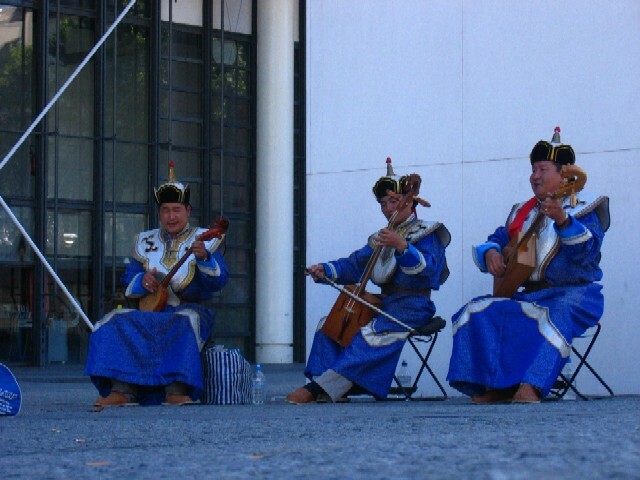 This morning – we found Mongolian throat singers outside of the Centre Pompidou. It’s amazing the synthetic-like sounds emitted from their mouths…without any machine help. It’s all natural. We enjoyed this free concert with breakfast: croque and chroizo pannini. 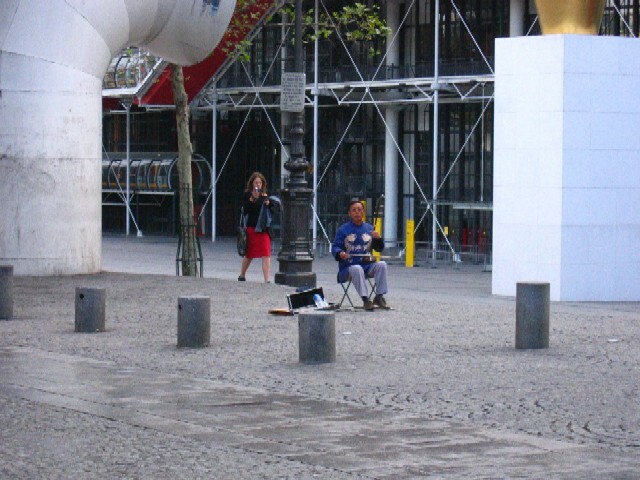 Eric was in town for the Pompidou and he watched with us. We also bought a CD afterwards.